A series of articles were recently published in the medical journal The Lancet that highlight the lack of adherence to clinical practice guidelines and advocate for “self-management, physical and psychological therapies” as first-line treatment for Lower Back Pain (LBP). The authors believe that this disconnect deserves immediate attention, given that LBP is the leading cause of disability worldwide and is a condition that is increasing rapidly. The problem, according to the authors, is that despite the evidence, many providers still recommend prolonged rest and prolonged time off work, and over-use drugs, advanced imaging such as MRI, physical modalities, and surgery. The message from these articles is the critical need to close the evidence-practice gap across all aspects of spine care. By way of example, The Lancet articles point out that physical modalities such as transcutaneous electrical stimulation (TENS) and ultrasound have been found to be ineffective but often are over-used by physical therapists in many practices. In addition, the outcomes associated with spine surgery and use of opioid medications have been less than favorable. In contrast, the evidence supports the use of patient education on pain science mechanisms, specific spinal exercises, and spinal manipulation/manual therapy, which are the interventions that physical therapists may be well trained in to provide with expertise. The authors recommend the development of “clear care pathways, referral, funding, and information technology systems” that would help clinicians deliver the most effective care at the right time. Physical therapy that includes exercise and manipulation is well supported in the literature, but not all physical therapists are effective at providing these interventions. Patients have a choice where to go for physical therapy treatment, and they should make sure that the physical therapist they choose is well versed in the use of specific exercise and manual therapy to treat their spine condition. Northern Rehab has enjoyed a 40-year history with the DeKalb Community. 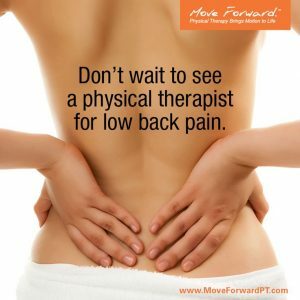 The physical therapists here provide effective, evidence-informed interventions for conditions such as neck and back pain to serve the needs of patients to recover most effectively from these painful conditions. A doctor’s prescription is no longer required for physical therapy treatment. You don’t need to live with pain. Choose Northern Rehab today and stop letting pain control your life. With 5 offices in DeKalb/Sycamore, Genoa, Rochelle and Sandwich, new patients are now being accepted.